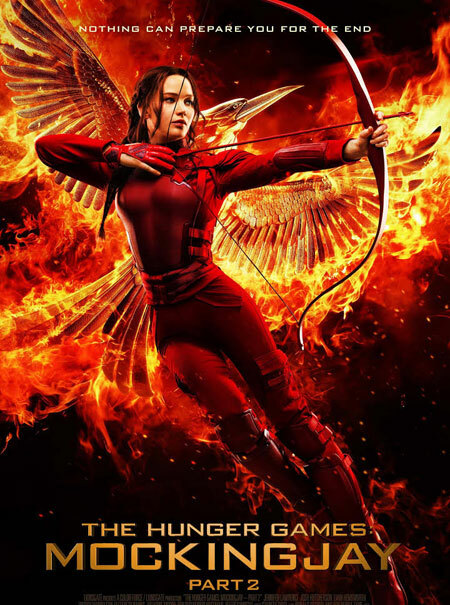 Katniss Everdeen's rebellion against the Capitol reaches its long-awaited, action-packed climax! Katniss Everdeen's rebellion against the Capitol reaches its long-awaited, action-packed climax! A year after Part 1 hit the screens, the dramatic conclusion of the Hunger Games saga finally arrives. Having reluctantly agreed to become the 'mockingjay' - or poster child - for the rebellion, Katniss Everdeen (Jennifer Lawrence) now holds the key to the fate of Panem.